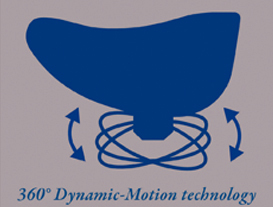 Exclusive 360° Dynamic Motion Technology helps strengthen back muscles, reduce back pain and & minimize sitting fatigue. Saddle Design eases load on back muscles by tilting pelvis forward to enhance posture, naturally align vertebrae and disks, and relieve shoulder and neck tension. 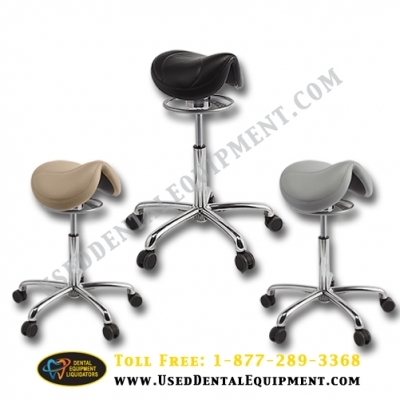 Enable dentists and hygienists to be more comfortable and productive throughout their workday. Slimmer saddle seat size and 2 cylinder heights enables a fit for all users that are 5’ 3” – 5’ 11”, and those under 5’ 3”. Conveniently adjust cylinder height to exact user preference. Upholstery is UltraLeather. COLORS available in Dove Gray, Raven Wing and Papyrus **Please Note: Colors on Different Computer Screens May Vary, But Images are a Close Depiction of Colors.